Is Organic Produce/Food Actually a Waste of Money? Home » Food and Nutrition » Is Organic Produce Actually a Waste of Money? ￼ It’s the first day of spring, which means something important: summer will be here before you know it! And if that’s where your mind is, you might be thinking about fresh food, better nutrition, and improved health compared to where you are today. If that’s the case, I have something else important to tell you…and it’s about organic food, or organic produce in particular. When we think of “health food,” it’s very easy to think “organic.” The two terms have become nearly synonymous over the years, and there’s been plenty of material promoting such an idea. Organically farmed produce is believed to be healthier and more ethical than conventionally farmed foods because of fewer pesticides, lower greenhouse-gas emissions, higher biodiversity, better soil quality, greater transparency, and better working conditions for farmers. However, a recent paper written by University of British Columbia researchers is challenging the idea that organic produce is the “Holy Grail of Health” that many are convinced it is. 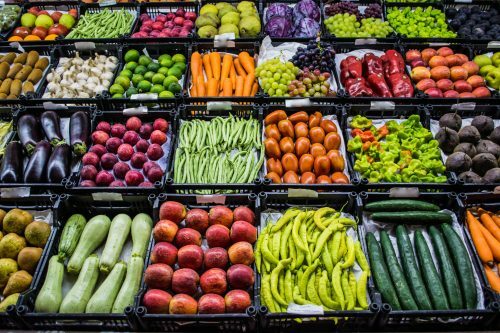 While conceding that it’s better for soil, biodiversity, and perhaps working conditions, the paper reports that there’s little evidence organic produce is healthier. Organic Food Is Worse for the Environment? Furthermore, due to lower crop yields, organic farms actually produce more greenhouse-gas emissions per unit area of land than conventional farms, according to lead author Verena Seufert. Citing the finding that organic farms produce 19% to 25% less food per unit area of land, Seufert notes that this also results in pricier food. This impacts who has access to it. Organic vs. Conventional Foods: Is There a Difference At All? Seufert also notes that it’s uncertain whether the minute nutritional differences between organic and conventional produce have any significant impact on health. And while pesticides may seem scary, there is actually no definitive scientific data on their health impacts on consumers. Sure, spraying a highly concentrated pesticide down your throat may make you ill, but experiencing any side effects from biting into an apple is highly unlikely. This is especially true if you take the time to wash it off in cold water for about 30 seconds before eating it. If you’ve got a limited budget for groceries and can’t afford organic, don’t worry: you’re not putting your health at significant risk. In fact, if this latest information is correct, you may even be doing the world a bit of a favor by skipping organic foods. Seufert, V., Ramankutty, N., and Meyerhofer, T., “What is this thing called organic? – How organic farming is codified in regulations,” Food Policy; 68: 10-20; doi.org/10.1016/j.foodpol.2016.12.009. Hui, A., “Organic food ‘not automatically better,’ study finds,” The Globe and Mail, March 10, 2017; http://www.theglobeandmail.com/life/health-and-fitness/health/organic-food-not-automatically-better-study-finds/article34266772/, last accessed March 14, 2017.